The Öhlins FDK 107 front damping kit comes with optional springs provided in the kit. Improved damping performance and higher spring rate with Öhlins designed replacement top caps give you better control and improved handling for your bike. The well-proven STX 36 mono-tube shock absorber with external “piggy back” reservoir design sets the standard for performance, quality and durability. 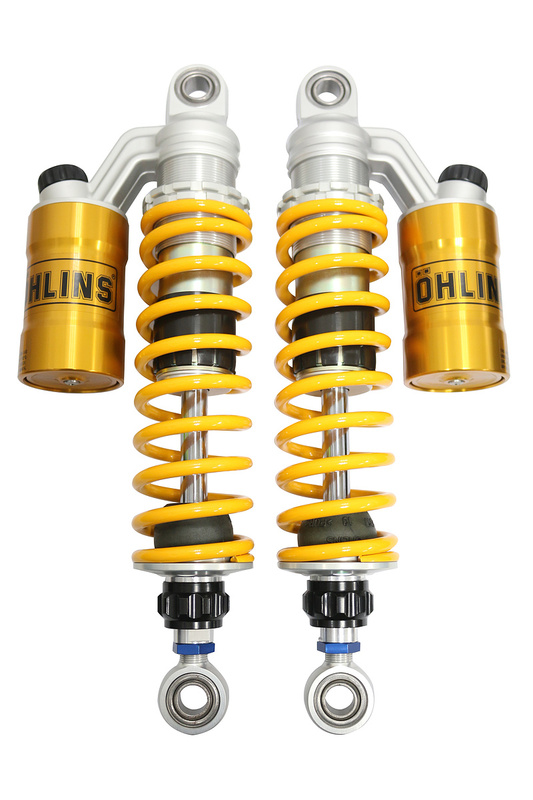 These outstanding twin shocks with the typical Öhlins design featuring original springs provides full adjustment possibilities for compression and rebound damping as well as spring preload and separate length adjustment. The STX 36 shock absorbers for Honda Monkey come with optional springs provided in the set for riders weighing more than 80kg (175 lbs). You can adjust the spring rate as well as the damping to suit your weight and riding style in the best way. 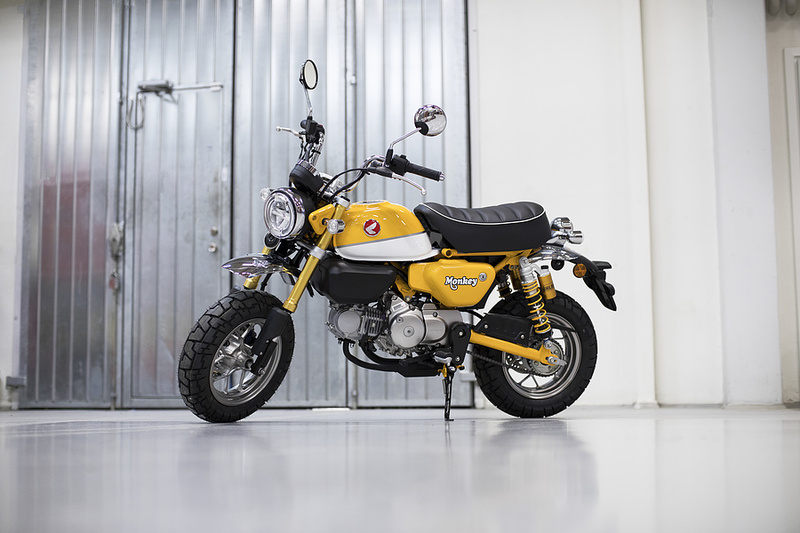 If you are interessted in the Öhlins applications for Honda Monkey please contact our authorized dealers and service centers or visit our online shop.